The Lebanese Resistance, with its pivotal role in representing domestic and Arab nationalism, faces two kinds of injustice. 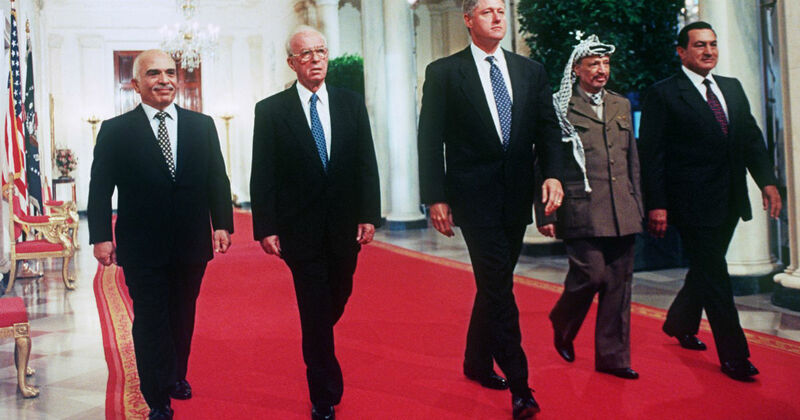 The first originates from the “Israeli” war machine and the second from the treason of regional dictators. In a nutshell, the “Israelis” invade, steal, kill, destroy, and commit every imaginable crime against the Lebanese people. 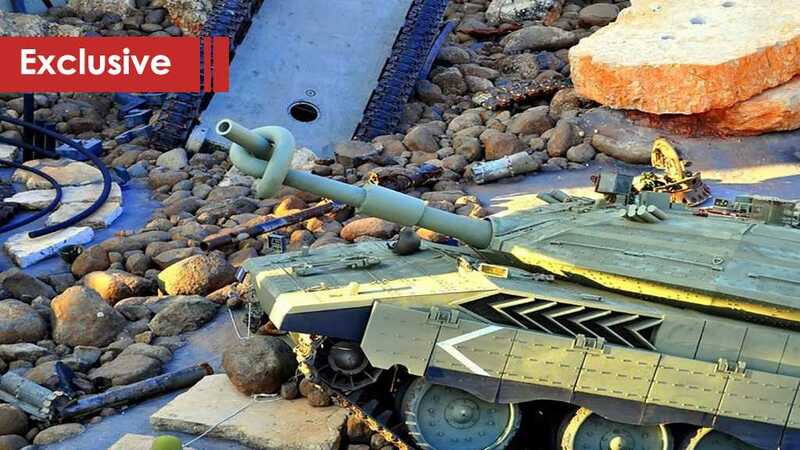 Hezbollah fights back with unprecedented ingenuity and does not just expel them from Lebanon, they also make the Zionists think twice before attempting any more acts of war. 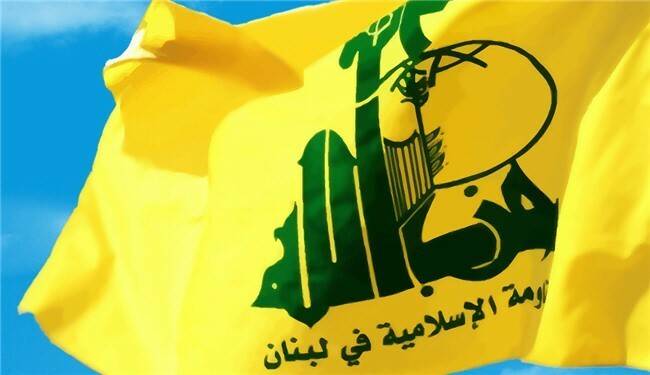 While the men of Hezbollah are doing all this, daggers are unsheathed only to try and stab them in the back. The strength of the “Israeli” enemy has proved to be overrated. In every confrontation since after the invasion of 1982, Zionist soldiers ran from the battlefield before the first rifle magazine had been emptied; it is because they have no conviction is what they are doing. The majority know that they don’t really belong to what is falsely said to be theirs – deep down within, they realize that they should return to their countries of origin. At the end of the day, being given a free house and financial benefits may not be worth dying for. So, the injustice originating from the Zionists can be handled with simple terms and precise rules of engagement. As [His Eminence] Sayyed Hassan Nasrallah has so clearly stated, every aggression will be met with defensive measures of equal magnitude. 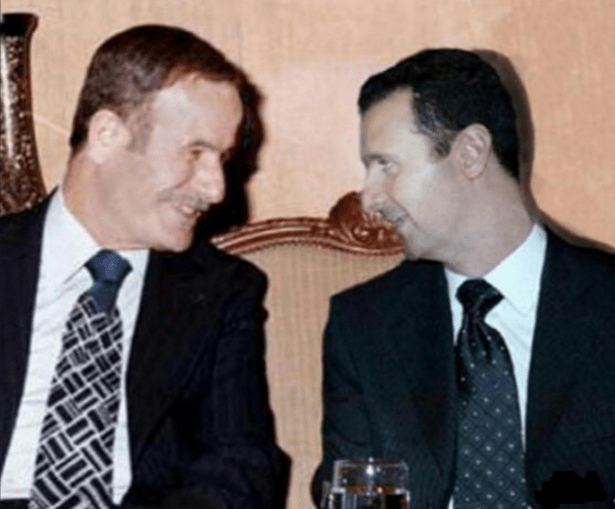 The Secretary-General’s words do not constitute mere speculative rhetoric, they are what brought victory to Arab Nationalism in 2006 and what have kept the warmongering monster to the south of the border at bay since then. That is because they are based on reality and not propaganda. The other injustice, the one suffered from those considered to be cousins and brothers, is the one that causes slight confusion. Indeed, there is something very wrong with the state of affairs governing the whole issue of the theft of Palestine and defending the Arab nation these days. Perhaps the usage of the term “these days” is not precise; maybe it has been like this for a long time but people have begun to see the conspiracy just now. Should the torture equipment in prisons like Ulaysha prove to be insufficient, prisoners can always be shipped to nearby larger facilities like Al-Hayer prison. As stated before, facing the Zionist with his technologically superior war machine has proved to be a very possible option. Years of resistance taught people lessons in doing it. The basic ingredients revolve around the notion of unconditional love for God, country, and family. These are the three concepts that Zionists do not fathom and when you do not understand something, you cannot create a weapon to counter it. Regarding the continuous antagonization by regimes who have abandoned their Arab identity, the unwavering belief in Prophet Mohamed and the divine message he delivered to humanity dictates that patience is to be adopted. There comes a time when affairs need to be set straight but only after hope has vanished completely. Those being unfairly attacked on daily basis still cling to that hope. Indications of following the essence of Islam show in Iran’s recent call for the Saudis to join the anti-colonial axis. His Eminence the Secretary-General of Hezbollah reached out to the Saudis as well. Daily slandering of Hezbollah and other members of the coalition championing the Arab cause in general and the Palestinian one in particular is now the least of the wrongs that these regimes are doing. Supporting the occupiers of the Holy land has become a trend and so has funding tens of thousands of terrorist mercenaries who are set on annihilating Islam and Christianity in the name of Wahhabism. In staying true to the Islamic tradition in its pure form as conveyed by Prophet Mohamed, his descendant the Secretary-General reminds the Resistance public to remain accepting of other faiths and sects and to display tolerance towards different political beliefs. The great hope is that some of those boasting the contradictory beliefs would stop confusing tolerance with weakness. The Lebanese people know all too well that they managed to turn around a military equation imposed by the most experienced imperialist superpowers. They know that they defeated one of the highest-ranking military forces in the world. Still, they engulf their victories with humbleness. In this humbleness that was taught by God and the prophet, they have dedicated their victories to their Arab brothers. The reciprocation to the Lebanese gesture by the regimes of their brothers is an injustice. It must not be forgotten that God chose to place the Holy Kaabah and Masjid Al Aqsa in the indigenous land of the Arabs. Neither the infamous Lord Rothschild nor Trump get to change God’s will. Anyone in line with this statement would know that “Israel” represents an occupying entity which must be expelled and siding with it means attempting to change God’s designs. Those Arab leaders who have put all their eggs in the U.S foreign policy and Zionist basket need to know that they are placing themselves in a course set towards a dark end. They are like a woman marrying a womanizer who will only love her as long as her external appearance is still young and beautiful. See, plainly speaking, the U.S has two interests in our land, two assets. The first (being Middle Eastern black gold) is about to become an obsolete necessity with the development of alternative energy sources becoming more serious now than ever. That, and the American shale oil prospect which is about to be cheaper to extract when compared to the prices of Arab petroleum and the complicated politics that come with it. The Americans have major reserves of shale oil. Having realized that the matrimony with America will not last much longer because of diminishing oil interests, the desperate part of the Arab leaders who can’t imagine living without its protection are racing to bring their romance with “Israel” to the open. They want to prove that they are important to America’s second regional asset’s wellbeing. This comes at the expense of the Palestinian people’s rights, their own people’s pride, the Arab identity, and self-respect. Wake up Arabs. Giving away Palestine today means giving away your crowns tomorrow. Hezbollah Media Relations Department issued on Thursday a statement which mourns the “major Arab journalist Hamdi Kandil”, adding that the entire Arab Umma and journalism lost him. The statement stressed that the honest media has lost a self-made man who had always conveyed the agonies and aspirations of his people and stood by the resistance and all his Umma’s causes. Hezbollah Media Relations Department offered deep condolences to the family of the late journalist, asking Holy God to bless him with His Mercy and Spacious Heaven. ساد وجوم ثقيل مجلس الملك السعودي، في قصر الناصرية. وبدا أمراء آل سعود وكأنّ على رؤوسهم الطير. وحاول الملك أن يلطّف شيئاً من كآبة الموقف، وجهامة وجوه زوّاره، فأخذ يسألهم الواحد تلو الآخر: «وش حالك يا فلان؟»، فيرد: «بخير، يا طويل العمر». حتى إذا وصل الملك سعود إلى عمه عبد الله، أجابه عميد الأسرة السعودية، وقد انفجر غيظه: «أحوالنا خرا!». ارتبك الجميع، وهم يسمعون تلك الكلمة توجّه إلى صاحب الجلالة، وامتقع وجه الملك سعود. وحاول الشيخ يوسف ياسين، وجمال الحسيني، وهما مستشارا الملك يومئذ، أن يتدخلا ليهدّئا من روع الرجل الجليل في العائلة المالكة السعودية. فنَهرَهما عبد الله، وهو يرتعش من الانفعال. ثم قام من مكانه، واتجه نحو ابن أخيه، وقال له: «انتا وين رايح بآل سعود؟!». ولم يدع الأمير للملك الذاهل فرصة للإجابة، فأكمل مزمجراً: «للحضيض! للأرض الحضيض! لجهنم والله!». قال الأمير كلماته، ثم نفض بيده طرف عباءته، وانصرف من المكان عابساً، وسط ذهول الحاضرين. حصلت هذه الحادثة مساء يوم الجمعة 7 آذار/ مارس 1958. وعبّرت الكلمات الغليظة التي تفوّه بها الأمير عبد الله بن عبد الرحمن آل سعود تعبيراً قاسياً عن أخطر أزمة عائلية شقّت صفوف الأسرة الحاكمة في تاريخها الحديث. وكانت تلك الأزمة قد تفجرت بعد افتضاح مؤامرة دبّرها الملك سعود لإطاحة الجمهورية العربية المتحدة، وانكشاف خططه لاغتيال الرئيس جمال عبد الناصر عبر تفجير طائرته في الجو. ولعل غضبة أمراء الأسرة الحاكمة لم تكن بسبب خطيئة الملك، واشتراكه المباشر في ارتكاب جريمة، بل كان حنقهم بسبب إدارته البائسة للعملية، وتخطيطه الأخرق لها. فلقد سُحِبت أمواله حتى آخر فلس، ثم كشفت رشوته وشيكاته، أمام العالم أجمع، وقُبض على أزلامه وأعوانه ووسطائه. فأضحى سعود أضحوكة، وأمست سمعة آل سعود في الوحل، بعدما خاب تدبيرهم، وانكشف إجرامهم. بدأت القصة، قبل أسبوعين، في سوريا التي وصل إليها عبد الناصر، صبيحة يوم 24 شباط/ فبراير 1958. واستقبل السوريون الزعيم المصري الذي أصبح رسميّاً رئيس الجمهورية العربية المتحدة، استقبالاً خرافياً. وأخذ عبد الناصر، في تلك الأيام، يطوف في المدن السورية، ويخطب في الجماهير المحتشدة لسماع كلماته. وبلغ الإنهاك من ناصر مبلغه، بسبب سفراته المتواصلة إلى كل أرجاء البلاد. وفي مساء يوم الثلاثاء 4 آذار/ مارس 1958، أراد الرئيس أن ينام قليلاً ليستريح من تعبه. ودخل إلى الغرفة التي أعدّت، في قصر الضيافة، لنومه. وبدأ يخلع ثيابه ليلبس «البيجامة». لكنه فوجئ برجل يدلف إلى الحجرة، ويقف وراءه مبحلقاً بينما هو منهمك في استبدال ملابسه. كان الرجل هو المقدم عبد الحميد السرّاج، رئيس المخابرات العسكرية السورية، المعروفة بـ«الشعبة الثانية». وبدت على وجه عبد الناصر دهشة من هذا المتطفل، ممزوجة ببعض الانزعاج. وبادر السرّاج إلى الاعتذار عمّا يفعله، قائلاً: «أنا آسف لأني عم ازعجك. بس في موضوع مهم لازم خبرك فيه». وردّ ناصر: «يعني الموضوع ده، مش ممكن يستنّى لبكرا مثلاً؟!». قال السرّاج بإصرار: «لا. هي مسألة ما بقدر أجّلها». ظهر الفضول على وجه الرئيس، فقال: «طيب. قول يا سيدي. أديني سامعك». ظلّ السرّاج منتصباً، وأخذ يتكلم بجدية بالغة، قائلاً: «سيدي. الموضوع طويل، ويتعلق بالملك السعودي». أشار الرئيس إلى مخاطبه لكي يقعد، فجذب السراج كرسياً، وجلس عليه. قال عبد الناصر، وهو يبتسم ليجعل السرّاج أكثر تبسّطاً في حديثه: «طيب، ممكن أتمدد ع السرير شوية. أصلي هلكان من التعب». ابتسم السرّاج باستحياء، وقال: «سيدي خذ راحتك. أنا ما كان بدي أشغلك بالشي اللي بدي قلك اياه، لولا خطورته». شرع السراج يروي ما لديه قائلاً (1): «الملك سعود متزوج بسيدة سورية كُنيتها «أم خالد» (2). وأبوها اسمه أسعد إبراهيم. اتصل فيني الزلمة، قبل كم يوم، عن طريق وسيط. الوسيط هو النائب عزيز عياد. قابلت هادا أسعد إبراهيم، فبخبّرني إنو ملك السعودية عم يعرض عليي ملايين الجنيهات الاسترلينية، إذا بقبل قوم بانقلاب ضد الوحدة بين سوريا ومصر. أنا سايرتو، لأعرف شو في براس أسيادو. وفعلاً، بيبعتلي سعود دفعة قيمتها اتنين مليون جنيه استرليني، مشان يرشيني». سكت السرّاج قليلاً، ومدّ يده الى جيب سترته الداخلي، وأخرج منه مجموعة من الأوراق، قدّمها لعبد الناصر الذي قام من فراشه متحفزاً، وقد ظهرت عليه الدهشة والاستغراب. قال السرّاج مشيراً إلى الوثائق التي أعطاها لعبد الناصر: «وهي صور تلات شيكات من الملك سعود بعتلي ياهون، بيوم ست وعشرين شباط: الشيك الأول بمبلغ مليون جنيه استرليني. والتاني بمبلغ 700 ألف. والتالت بمبلغ 200 ألف. وهي الشيكات مسحوبة من البنك العربي المحدود بالرياض، على بنك ميدلاند، بلندن. وتدفع لحاملها. وفي كمان تسجيل لكلام أسعد إبراهيم معي». صمت السرّاج قليلاً، وترك عبد الناصر يتفحص الشيكات، ويتثبت منها. ثم أضاف السرّاج موضحاً سرّ المئة ألف الناقصة: «أسعد ابراهيم مبعوث سعود خصم لإلو من أصل المليونين جنيه اللي بعتلي اياها الملك، مبلغ مية ألف، قال على اعتبارها عمولتو». لم ينطق عبد الناصر بكلمة، بل ظل شاخصاً ينظر إلى السرّاج، وينصت لكلامه بانتباه، فاستكمل الأخير روايته قائلاً: «ومشان أسعد يشجعني أكتر، أعطاني رسالة شخصية من الملك كاتب فيها إنو أنا مثل ابنو، وهو مش رح يتخلى عنّي ورح يساندني، متل ما كان أبوه عبد العزيز يعمل مع شكري القوتلي (3). وقال لي إنو السفير الأمريكي بالشام مستعد يعلن اعتراف بلادو بالنظام الجديد فوراً. كمان، الملك بيضمن لي اعتراف كل الدول الصديقة لأمريكا بالوضع الجديد بسوريا». ابتسم عبد الناصر، وهو يستمع لهذه النقطة في الحديث، واستطرد السراج في حكايته قائلاً: «بصراحة، أنا من لما استلمت الشيكات ما قدرت استنّى ليطلع الضو. تحركت فوراً مع مجموعة من الضباط الموثوقين. واستدعيت واصف كمال مدير البنك العربي بدمشق، واللي حوّل السعوديين المبلغ عن طريق فرعهم بالرياض. واستدعيت، كمان، نائب مدير البنك وكم معاون إلو، حتى يشرفوا، من وش الصبح، على عملية سحب المبالغ من بنك ميدلاند وتحويلا على حساب جديد باسمي، فتحو بسويسرا». ولم يكن ذلك هو كل شيء. أكمل السرّاج قائلاً لعبد الناصر: «الأخطر من كل هاد. هو إنو مبعوث الملك سعود عطاني عبوة ناسفة لأزرعها بطيّارتك اللي بتطلع فيها، فتنفجر بالجو». أطبق الصمت في الحجرة لبرهة من الوقت. ولم يقطعه سوى كلمات السرّاج: «ومشان أقتلك رشاني الملك بمبلغ ميتين وخمسين ألف جنيه استرليني». صمت السرّاج ثوان، ثم أضاف: «أنا رفضت هالمهمة واعتذرت لمندوب سعود عن تنفيذها. بس ضلّيت عم حقّق بتفاصيل المؤامرة، فعرفت إنو الجماعة قدروا يجندوا ضابط طيار ليقصف طيّارتك بالجو، وبعدين يهرب على تركيا ويطلب اللجوء فيها. قبضنا ع الطيّار الخاين. ورجالي عم يحققوا معو هلأ». كان خطاب عبد الناصر الذي ألقاه من دمشق، يوم 5 آذار/ مارس 1958، مدوياً. فقد كشف فيه للعالم العربي الوجه الآثم لآل سعود. وفي الرياض، كان وقع الاتهامات مزلزلاً. كانت المملكة، في عهد سعود، تشهد أحلك أيامها: خزينة مفلسة بسبب المصاريف المفرطة، وسياسة متخبطة لم تبقِ لها على صديق، وأسرة حاكمة مفككة بسبب استئثار الملك بسلطة مطلقة، وتحيّزه لأبنائه على حساب إخوانه، وسمعة مشبوهة تلوكها الألسن وتمضغها الأفواه. وكان أمراء آل سعود يكادون يتميّزون من الغيظ. وسأل الأمير طلال عن أخيه الملك، فقيل له إنه موجود في قصره بالمدينة المنورة. وكلّم طلال أخاه، عبر الهاتف، وسأله إن كان قد سمع اتهامات عبد الناصر له، وما تعليقه على ذلك؟! فأجابه سعود بأن لا ينزعج، وأن يأتي إليه. واستقل طلال طائرة، وجاء إلى قصر أخيه في المدينة. ويروي طلال كيف دخل على الملك في مجلسه، فوجد عنده أعيان المدينة، وبينهم نائب أميرها عبد الله السديري. وسأل سعود جلساءه قائلاً: «ترى أهل المدينة صدّقوا اللي قالوه عنّا الحاسدين؟!». وصمت الجميع، وكان صمتهم أبلغ من كلامهم. وأحسّ طلال بالوجيعة من هذا الحال الذي وصل إليه آل سعود، فخاطب أخاه الأكبر، قائلاً له: «بالله يا طويل العمر بيّض وجوهنا. لو تركنا اللي ينقال من غير ردّ، سوّدت الفضيحة وجوهنا. واحنا خمسة آلاف من آل سعود، وين نروح بوجوهنا؟!». وتمتم سعود قائلاً: «أبشر! أبشر! ما يخالف. ما يصير إلا الخير». في الغد عاد سعود إلى الرياض، فلقي من عمه عبد الله ذلك التوبيخ الذي لم يسمعه منه قبل ذلك أبداً. واكتأب سعود، فاعتكف في قصره، لا يخرج منه، ولا يُدخل عليه أحد. ثم إنّ الملك السعودي اغتاظ، وحزّ في نفسه كيف انقلب حاله. وأمر حرّاسه أن يأتوا له بمدير «البنك العربي» في الرياض مقيّداً في الحديد. فجاؤوا بالسيد مصباح كنعان من مقر عمله، بعد أن كبّلوه وأهانوه أمام موظفيه وعملائه. ووقف المصرفي المسكين، وهو يرتعش من الخوف أمام «طويل العمر». شهد تلك الواقعة الغريبة محمد سرور الصبان وزير المالية السعودي. وكان الملك يصيح حانقاً: «كيف تعطون شيكات للسرّاج، تتاخذ دليل ضدنا. المفروض ما تعطوه الصكوك». وردّ كنعان قائلاً أنه لم يفعل سوى ما أَمره به الديوان الملكي، ولديه توقيعان من وزير المالية الصبان، ومن رئيس مؤسسة النقد السعودي معتوق حسنين يأذنان فيه بتحويل المبلغ المذكور. ولم تعجب سعود هذه الإجابة، فأمر بحبس الرجل، وإغلاق فروع بنكه في المملكة كلها. واهتزت السوق المالية السعودية من هذا التصرف الأهوج. وأخذ كبار الأمراء يسحبون أموالهم من بعض المصارف، وتبعهم عامة الناس. وأغلقت الفروع البنكية أبوابها أمام الزبائن، فتحولت مطالبات المواطنين بسحب أموالهم إلى ما يشبه التظاهرات. فجأة هبطت قيمة العملة السعودية هبوطاً مدوياً، في ظرف أيام قليلة، من 3.75 ريال مقابل الدولار الواحد، إلى 6.5 ريال. وأصبح المشهد السعودي كله كئيباً! اجتمعت مجموعة من أمراء آل سعود في قصر الأمير طلال المعروف بـ«الفخرية». كانوا تسعة أمراء: عبد الله، وعبد المحسن، ومشعل، ومتعب، وطلال، ومشاري، وبدر، وفواز، ونواف. وقرّروا أن يطلبوا من أخيهم الأكبر فيصل بن عبد العزيز تولّي الحكم بدلاً من سعود. ثم إنّ هذه المجموعة سريعاً ما قويت شوكتها، بعد مساندة العم عبد الله بن عبد الرحمن لها، ومعه السديريون الذين يتزعمهم فهد. والشقيقان محمد وخالد. لكنّ المعضلة تمثلت في إقناع ولي العهد نفسه بأن يمسك بمقاليد المملكة. كان فيصل رجلاً مريضاً، وكان يعاني من أمراض كثيرة، ولقد عاد من أميركا قبل شهور قليلة، بعد أن عولج في أحد مستشفيات نيويورك من سرطان غير خبيث في معدته. وتحوّل «الرجل ذي السحنة الكئيبة» إلى رجل نافر من الحكم. فلما عرض عليه أن يكون ملكاً بدلاً من أخيه تمنّع. بيد أنه بعد أن رأى إجماع إخوته عليه، قبل المهمة، مشترطاً أن يظلّ سعود ملكاً صورياً لكي لا يحدث عزله انشقاقاً في وحدة الأسرة المالكة، وأن توكل كل سلطات الحكم الفعلية له وحده. وفي ليلة 24 آذار/ مارس 1958، وكانت إحدى ليالي رمضان، جاء آل سعود إلى أخيهم يحملون إليه نبأ نزع سلطاته، وإبقائه صورة بلا وظيفة. غضب سعود، وقال لهم إنه ليس ملكة بريطانيا. وأجابه محمد ذو الشرّين: «أحسن لك تقبل باللي عرضناه عليك، بدل نخلعك من المُلك كله». ساد الصمت المجلس. وجال سعود بعينيه في وجوه عمه وإخوته، فلم ير منهم إلا نفوراً منه. أطرق برأسه، ثم قام من مقعده، وتمتم قائلاً إنه يوافق على نقل صلاحياته إلى فيصل. وكان ذلك اعترافاً منه بنهايته. 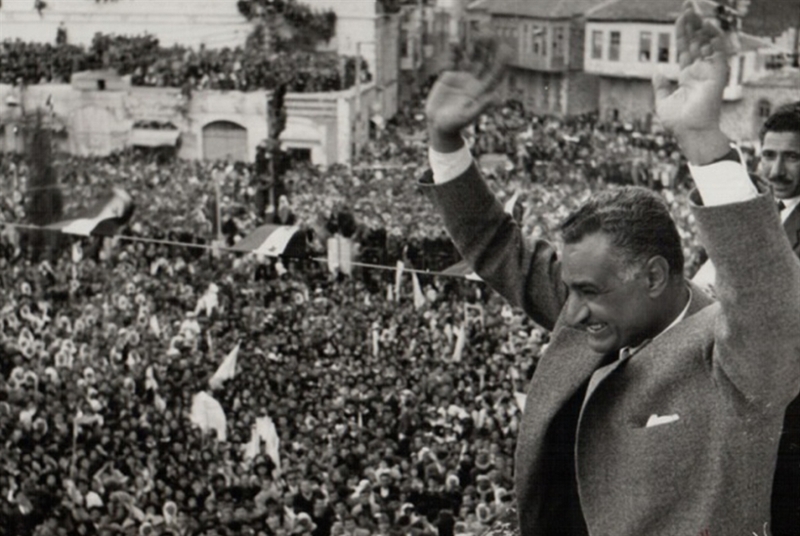 (1) أخبر الرئيس عبد الناصر في صباح يوم 25 شباط/ فبراير 1958، مرافقيه بتفاصيل ما قاله له السرّاج في الليلة الماضية. وكان محمد حسنين هيكل من بين أولئك الرفاق. ورجا هيكل السرّاج أن يسجّل بصوته قصته مع ملك السعودية، على شريط «كاسيت». ولما أراد هيكل، بعد ثلاثين عاماً، أن يكتب مؤلفه «سنوات الغليان»، استعان بالشريط القديم الذي سجّله للسرّاج، فاستعاد التفاصيل الدقيقة لحكاية سعود مع رجل الشعبة الثانية. ودوّن هيكل ما ذكره السرّاج في الصفحات 299 إلى 305، من كتابه المذكور. (2) أم خالد، واسمها جميلة أسعد إبراهيم مرعي. هي الزوجة التاسعة للملك سعود، من بين أربع وأربعين زوجة للرجل. تزوجها سعود، سنة 1926، بعد أن بلغه جمالها، وكانت ما زالت طفلة لا تتجاوز الثانية عشر من العمر. ودأبت «عيون» سعود وأبيه وإخوته على تصيّد الفتيات السوريات المليحات، دوماً. ولعلّ غايتهم كانت تحسين نسلهم وتجويد صورته. وأنجبت جميلة لسعود ثمانية أبناء، أكبرهم خالد الذي تولى رئاسة الحرس الوطني السعودي، في عهد أبيه. وكان أسعد إبراهيم مرعي (والد جميلة) رجلاً فقيراً من اللاذقية. وعرفه الناس سارقاً للحمير. وقبض عليه، ذات مرّة، ودخل السجن بسبب سرقة حمار. لكنّ أسعد تبسم له السعد بعدما تزوجت ابنته من الأمير سعود بن عبد العزيز، فصار فجأة من كبار الأثرياء. (3) من سوء الحظ، أنّ شكري القوتلي، وهو الرئيس السوري الأول بعد الاستقلال، كان على رغم وطنيته، موالياً لآل سعود أكثر من اللازم. وكانت علاقته بالملك عبد العزيز وأبنائه وطيدة، فقد عاش في كنفهم منذ سنة 1926. وظلّ عدد من أفراد أسرة القوتلي يعملون في التجارة داخل المملكة السعودية زمناً طويلاً. وبحسب ستيفن لونغريج، مؤلف كتاب «سوريا ولبنان تحت الانتداب الفرنسي» (ترجمة بيار عقل، دار الحقيقة، ص: 59) فإنّ القوتلي كان يؤيد إعادة النظام الملكي إلى سوريا، في حقبة الثلاثينيات من القرن العشرين. ورشّح القوتلي الأمير فيصل بن عبد العزيز آل سعود، ليكون عاهلاً في دمشق. لكنه فشل في تحقيق مساعيه. وحينما طلب عبد الناصر من السرّاج أن يخبر شكري القوتلي بما رواه له عن تآمر الملك السعودي، خشي الضابط السوري الكتوم أن يفشي «المواطن العربي الأول» – كما لقّبه ناصر- ذلك السر للسعوديين. ولم تكن العلاقة بين السراج والقوتلي طيبة، فقد كان الأول يعلم ارتباطات الرئيس السوري السابق الوثيقة بآل سعود. لكنه مدفوعاً بإلحاح عبد الناصر، حكى قصة غدر الملك السعودي، للقوتلي. وصدقت مخاوف السرّاج فعلاً، فقد أفشى القوتلي للسعوديين ما أُبلغ به. وذكر لهم أنّ مساعيهم وخططهم قد انكشفت لعبد الناصر. وأحسّ السرّاج بالحنق لما اعترض ضباطه، بعد سويعات، برقية مشفّرة من السفارة السعودية في دمشق، مرسلة إلى الديوان الملكي، تقول: «تأكد أنّ البناية مغشوشة». – تقترب خمسينية رحيل جمال عبد الناصر، وقد عرف العرب بعد غيابه خلالها خيبات وانتصارات، وليست صدفة أن تأتي ذكرى الانتفاضة الفلسطينية المباركة في الأقصى بعد ثلاثين عاماً على رحيله في ذات يوم ذكراه. وبين الرحيل واليوم ظاهرة حياة وحيدة في يوميات العرب جسّدتها ولا تزال المقاومة التي حرّرت جنوب لبنان بعد ثلاثين عاماً من رحيل جمال عبد الناصر، وكررت فعل الشرف ذاته بعد ستة أعوام، وها هي تكرّر كل يوم جريمتها التي تعاقب عليها بلا توقف، لكونها أعادت العرب إلى خريطة العالم، ومنعت تضييع وتمييع قضية فلسطين التي وهبها عبد الناصر عمره، وكانت الدرع الواقية للعرب من التهام نيران التطرف والتكفير والإرهاب لهشيمهم الهش من بوابات سورية والعراق ولبنان. ولا تزال الشوكة التي لا يستطيع الفم الإسرائيلي الشره، بسببها، التهام المنطقة ومضغها، رغم نجاحه بلوك الكثير من الحكام والمشيخات والممالك والإمارات. – أهم ما تقوله لنا ذكرى رحيل عبد الناصر، ليس ما يضيع الكثيرون وقتهم في مناقشته حول نجاحاته وإخفاقاته، أو حول جدارته بتبوأ مكانة الشرف في لائحة القادة التاريخيين، بل هو ما قاله الرئيس الراحل حافظ الأسد في نعيه لجمال عبد الناصر يوم الرحيل، حيث كتب: إننا نودّع اليوم الرجل الذي كنا نأتي إليه بخيباتنا ليمنع تحوّلها إلى هزائم للأمة، والذي كنا نأتي إليه بإنجازاتنا ليجعل منها انتصارات للأمة، فهي مصر التي نفتقدها بالغياب الثقيل الموجع، مع ذكرى غياب جمال عبد الناصر، الذي رفع بحضوره مكانة مصر ومعها مكانة العرب، إلى مصاف الدول والأمم الصانعة للسياسة، إلى لاعب جدير وقدير يخطئ ويصيب، لكنه حاضر دائماً، وقد تحوّلت إلى ملعب مفتوح للاعبين العابثين بعد الغياب. – في واحدة من اللقاءات التي التقى خلالها الرئيس بشار الأسد جمعاً من المثقفين العرب، وكان لي شرف الحضور، سأله أحد المحبّين قائلاً، سيادة الرئيس يوم انتهت حرب تموز عام 2006 سئل سيد المقاومة لمن تهدي نصرك فقال للأمة كلها، وأنا أسألك لمن ستهدي نصرَك القريب، فأجاب الرئيس بشار الأسد بتواضع القادة الكبار، أنا معني بالإيضاح لمصطلح النصر، فالنصر المتاح أمام سورية هو منع المشروع المعادي للعرب والعروبة من العبور، سورية تصمد، لكن النصر بمعناه العميق لا يكتمل بدون مصر. فمع مصر يتحوّل الإنجاز الذي تحققه سورية أو أي بلد عربي آخر إلى انتصار ـ وبدون مصر يبقى النصر محدوداً بالصمود. – لنا أن نتخيّل معنى لو كان عبد الناصر موجوداً في ذروة الحرب على سورية، أو أن يكون في مصر مَن يجسّد مبادئه وتاريخه، فمن كان سيجرؤ على تحويل الجامعة العربية إلى وكر للتآمر على سورية، ولنا أن نتخيّل معنى إخراج سورية من الجامعة العربية كمقدّمة لتحويلها منصة للمشاريع الإسرائيلية، ولنا أن نفهم أن الخطوة الأولى للهجمة الإسرائيلية الأميركية كانت تسليم إخراج مصر من المشهد، ولنا ان نتخيل الردع الموضوعي الذي يشكله حضور مصر أمام كل المهازل التي تختصر المشهد السياسي العربي اليوم، ولنا أن نتخيل حال فلسطين المنتفضة والمقاومة في ظلال حضور مصر القوي والفاعل، ولنا أن نتساءل عن المدى الذي كانت ستصله مفاعيل سبّابة سيد المقاومة لو كانت مصر في ربع ما كانت عليه زمن عبد الناصر، فكيف لو كان كل الزمان حاضراً.